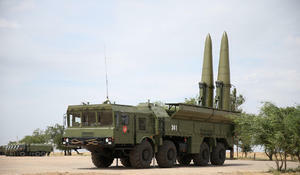 The recent acquisition of Iskander missile systems by Armenia caused new wave of talks around the Nagorno-Karabakh problem. A number of experts condemned this purchase, noting that it escalates already fragile situation in the region. Some of them doubted the efficiency of the purchased weapon. 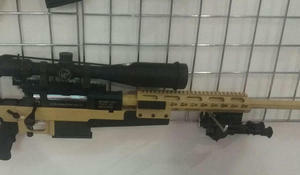 Azerbaijan’s Ministry of Defence Industry has completed production of a new sniper rifle. Kazakhstan and Israel have agreed on joint manufacture of unmanned aerial vehicles (UAVs) in the course of the official visit of Kazakh Defense Minister Imangali Tasmagambetov to Israel, Ria Novosti reported. Russia is of interest for Azerbaijan and Iran as in the biggest exporter of high-quality weapons, Ria Novosti quoted Russian Deputy Prime Minister Dmitry Rogozin as saying. The military equipment at the disposal of the Azerbaijani Armed Forces is replenished in accordance with the requirements and obligations shown in the documents signed by the Azerbaijani authorities within the cooperation with international structures, the Defense Ministry reported.